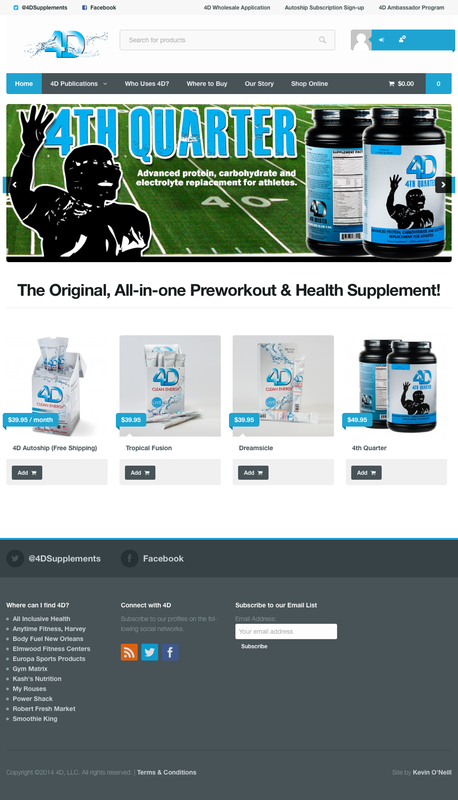 4D Supplements Takes the big leap… a full blown eCommerce site! My favorite projects are the ones that start small and mature over time. 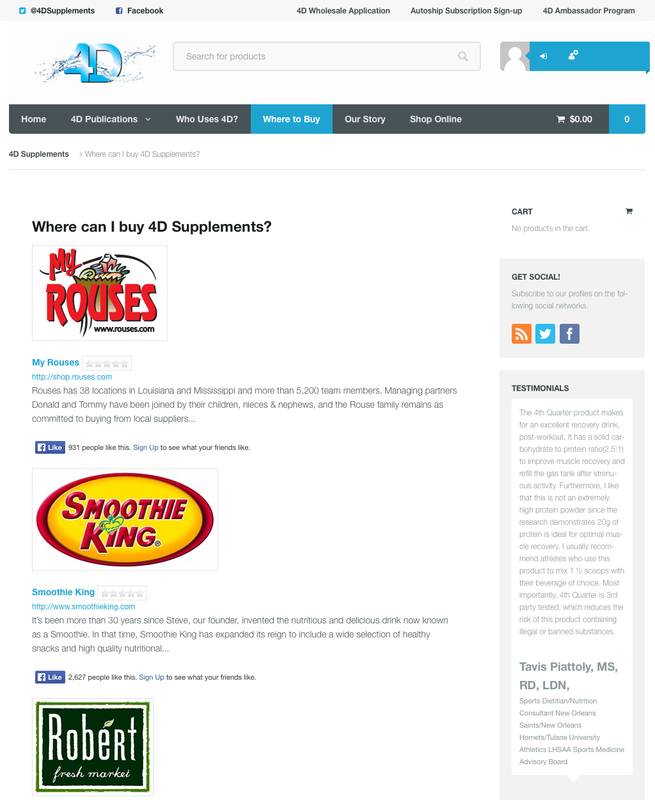 4DSupplements.com (Jason & Liz Navarro) started as a simple WordPress blog using an Elegant Themes design. 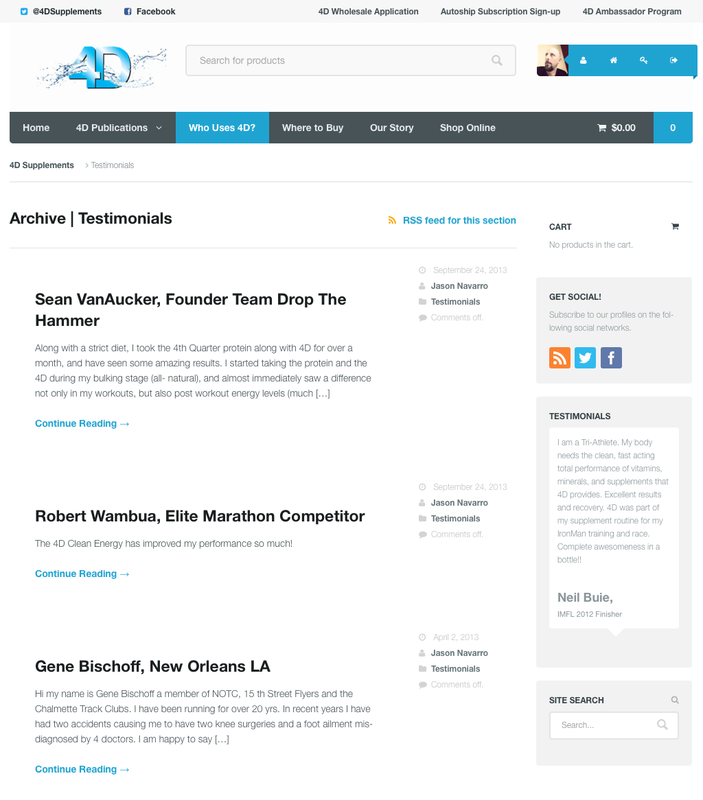 The second iteration called for extensive theme customizations, plugging in additions and some pretty creative solution finding. 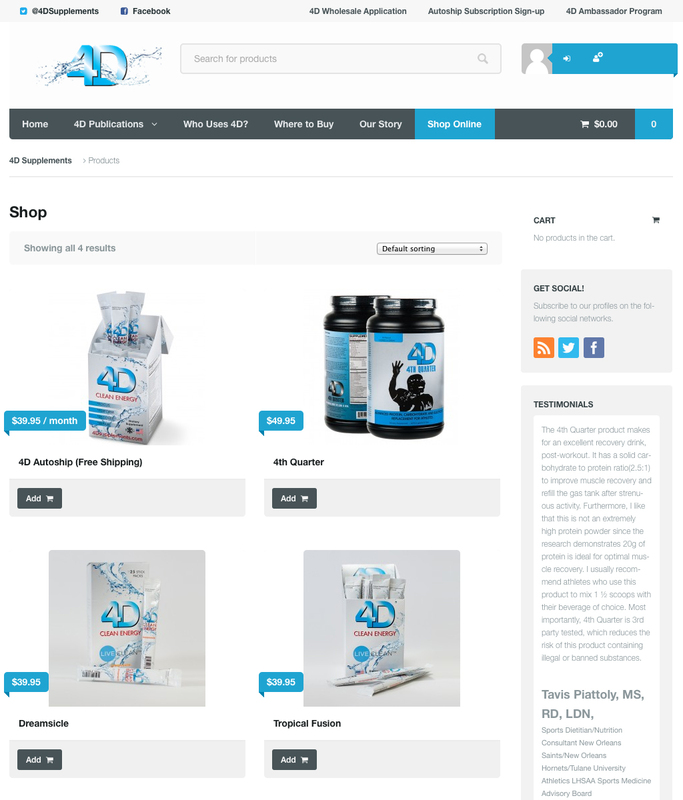 The third (and current) build called for an all out eCommerce solution that would allow the company to control the content and platform and aid in inventory control, shipping and CRM. 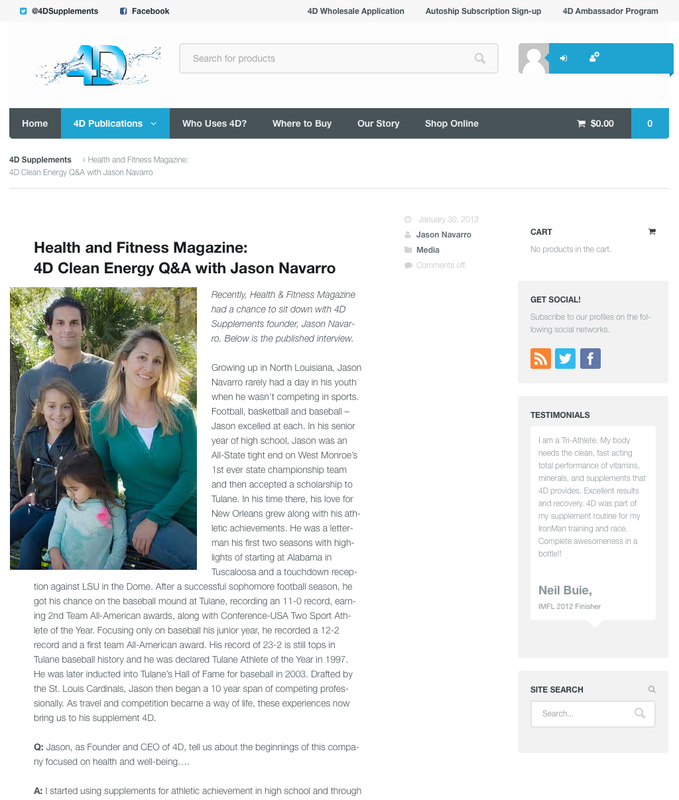 With the tremendous strides that WordPress has made as a Content Management System, keeping it as the heart and soul of the site was an easy call. 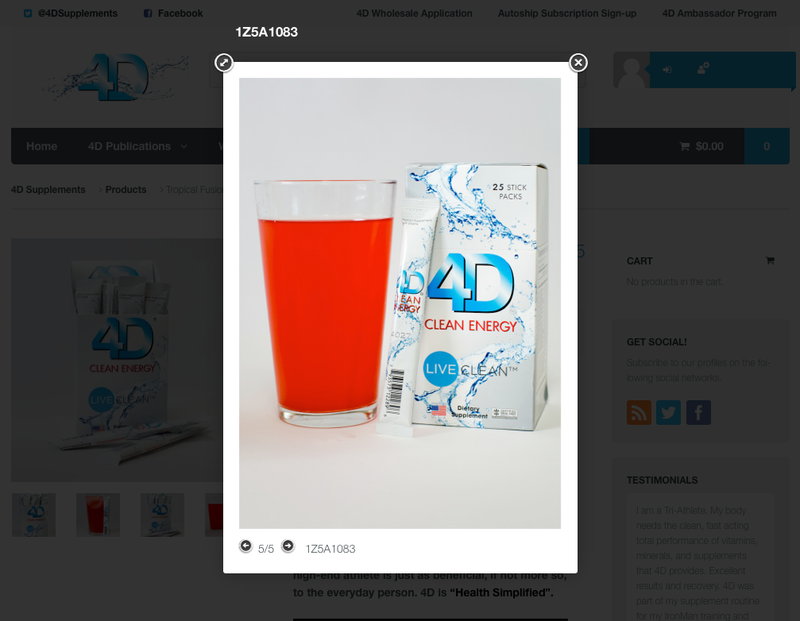 We used WooCommerce to handle the products, store experience and shipping labels. We chose the Superstore theme to deliver the front end. 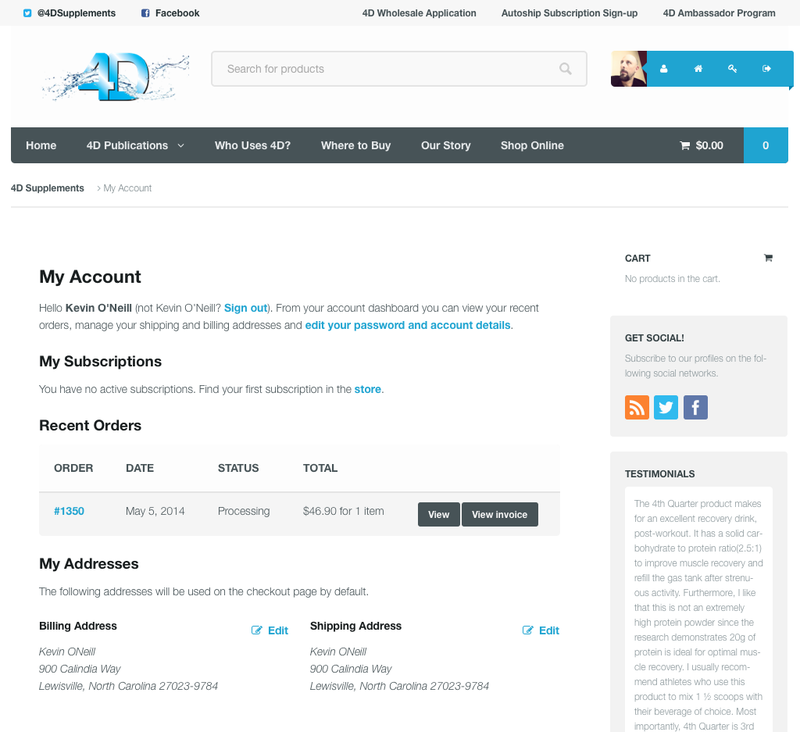 And integrated the checkout experience with Constant Contact. 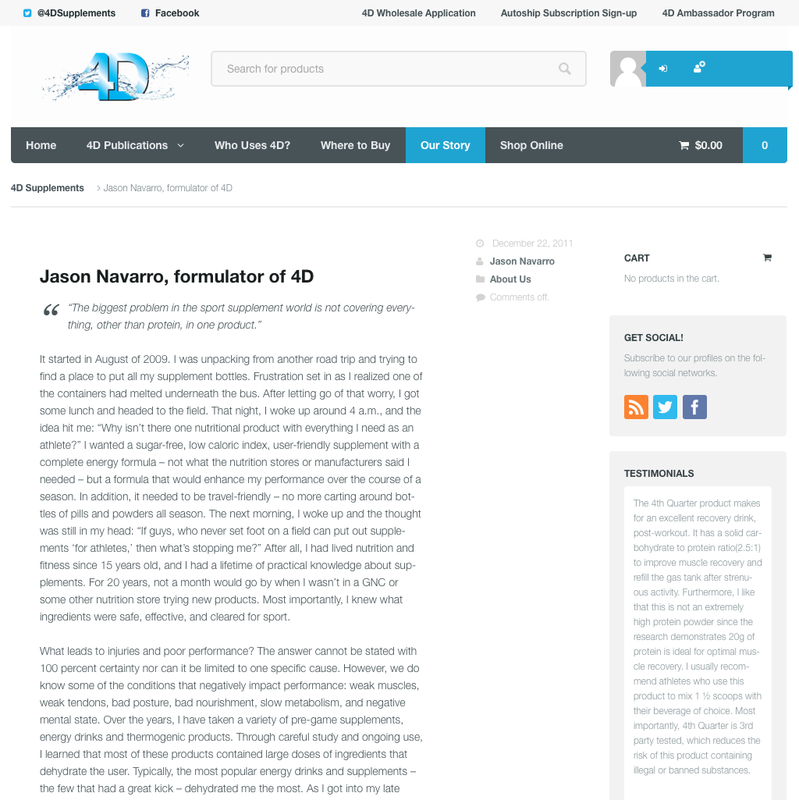 What we ended up with was a responsive eCommerce site that let Jason & Liz completely maintain their client base and product count. This was a true home run.